Addressing our broken prison system and finding ways to fix it. Back in June, the state of Pennsylvania received some good news. According to a report commissioned by the Justice Center of the Council of State Governments, the recidivism rate in our prison system has been decreasing. 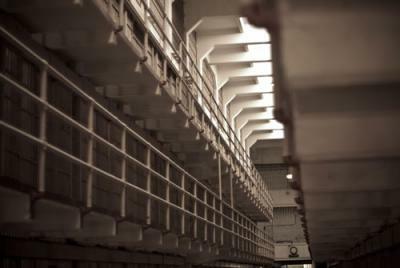 According to the findings, the number of Pennsylvania state prisoners who would return to jail within three years of release had declined by 7.1 percent between 2007 and 2013. That certainly sounds good – and statewide efforts to improve parole inefficiencies and provide treatment for people with substance abuse problems may indeed be working. But when you look more closely at that statistic, the systematic problems that remain are shocking. In 2007, 43.9 percent of released prisoners in Pennsylvania would be back behind bars within three years. By 2013, that rate was down to 40.8 percent statewide, and 40 percent in Erie County. That's still 4 out of every 10 prisoners, after you factor in the improvements. And when looking at the U.S. prison system as a whole, the statistics are equally, if not more, shocking. On Oct. 15, 2012, Bloomberg News ran a depressing "chart of the day," compiled from data tallied by the Department of Justice and the International Centre for Prison Studies. Journalists Max Raskin and Ilan Kolet discovered that "more than 2.2 million people [were] behind bars, equal to a city the size of Houston" in our country. The feature included a bar graph mapping incarceration rates for countries in the OECD (Organization for Economic Co-operation and Development). On it, the vertical red line representing the U.S. towered far above the rest, indicating that we imprison approximately 730 citizens for every 100,000, while only four other countries – Czech Republic, Poland, Mexico, and New Zealand – broke the 200 mark (and not by much). To put that into sharper perspective, The Economist reported in 2013 that the U.S. has roughly 5 percent of the world's population yet 25 percent of its prison population. Data released by the Bureau of Justice Statistics during the same year reveals that "an estimated 1 in 50 adult residents was supervised in the community on probation or parole at yearend 2012, compared to 1 in every 108 adults incarcerated in prison or jail." In April of 2012, Time Magazine's Fareed Zakaria – one of the last real centrists in our political system – argued that we've created "a vast prisoner underclass in this country at huge expense, increasingly unable to function in normal society, all in the name of a war we have already lost." The war he refers to is the War on Drugs. According to Zakaria, drug convictions currently account for more than half of the convicts in our federal prisons – about 1.66 million in 2009 alone. So how did we get to this point? The reasons aren't always as diabolical as you might guess. Consider, for example, the "Broken Windows" theory of criminal justice. Social scientist James Q. Wilson and criminologist George Kelling introduced the concept in 1982, as the War on Drugs was in its early stages. The authors looked to a study by Stanford psychologist Philip Lombardo, in which abandoned automobiles were left in two neighborhoods – a crime-ridden street in the Bronx and an affluent part of Palo Alto, Calif. Within ten minutes of its "abandonment," the car in the Bronx was vandalized, and everything of value was gone within a day. By contrast, no one approached the car in Palo Alto for more than a week. The researchers concluded that "serious street crime flourishes in areas in which disorderly behavior goes unchecked." It's a logical idea – if you live in a neighborhood with plenty of broken windows, criminals are more likely to "break windows" themselves. Accordingly, Wilson and Kelling suggested that our law enforcement model should prioritize order maintenance in addition to crime prevention. Cops wouldn't just show up to prevent or punish conflict – their ongoing presence in the community would alleviate fear and intimidate criminals. Suddenly "victimless crimes," like public drunkenness and vagrancy, were policed much more actively. And many drug addicts wound up in prison. As Mayor of New York City, Rudy Guiliani put the "broken windows" theory into practice. In an editorial for the New York Post in 2012, Giuliani recalls how he used Kelling and Wilson's ideas to "keep neighborhoods clean and free of signs of disorder." The crime rates in New York City – and across the country, for that matter – declined substantially during his tenure. But the growing focus on "order maintenance," along with strong political incentives to be "tough on crime," ultimately lead to draconian sentencing practices and an escalating distrust of law enforcement, especially in minority communities. As I read about the recent choking death of Eric Garner, a man whose life was taken by an overzealous cop for allegedly selling untaxed cigarettes in Staten Island, it seems clear to me that the "sweat the small stuff" approach to law enforcement repeatedly leads to egregious abuses – and is in need of considerable reform. Since the 1980s, the changes in our criminal justice system have been substantial. A 2009 report from the Pew Center on the States found that "during the past quarter-century, the number of prison and jail inmates has grown by 274 percent," once people on probation and parole are factored in. The report concluded that "America now has more than 7.3 million adults under some form of correctional control." In Pennsylvania, that amounted to 1 in 28. There are racial disparities as well. In 2013, the Pew found that "black men were more than six times as likely as white men in 2010 to be incarcerated in federal and state prisons, and local jails." These numbers might be at least partially justifiable if they had eradicated drug abuse or serious criminal activity. But they haven't. With these concerns in mind, I reached out to Andy Hoover, Legislative Director of the American Civil Liberties Union (ACLU) of Pennsylvania. Hoover describes the ACLU's approach to drug policy as "driven by a belief that dealing with drug addiction is best handled as a public health issue, and not a law enforcement issue." For example, they recently advocated for (and helped pass) State Senate Bill 1164 (Act #139), which grants immunity to people who call for help during drug overdoses. Hoover explains that people who witness overdoses are often reluctant to dial 911 "because they're afraid of being arrested themselves." The bill's passage allows us to prioritize the life of the addict rather than the laws that have been broken. A more alarming example of the ACLU's prison reform advocacy involves the Healthy Birth for Incarcerated Women Act, which they helped pass in 2010. Believe it or not, enough female prisoners were being shackled during labor – as well as during the final two trimesters and postpartum period – to require legislation. It's shocking enough that these practices occur in the 21st century, let alone in the U.S. To make matters worse, Hoover claims that "the enforcement is not strong," and that the ACLU must continue to advocate on behalf of women who are still being restrained during pregnancy illegally. Since these concerns rarely receive adequate public attention, I asked Hoover to specify an issue about which the public is particularly uninformed. After a pause, he mentioned mandatory minimum sentences and the lack of awareness about what triggers them. Like the "broken windows" theory, mandatory minimum sentencing often seem logical in theory, but can be catastrophic in practice. Hoover cites the example of school-zone sentencing. Obviously, most of us (myself included) don't want drug dealers near our schools. But the issue becomes more complicated when you consider that, until quite recently, a mandatory minimum could be triggered in Pennsylvania whenever a dealer was within 1,000 feet of a school. According to Hoover, "that includes basically any time of the day or year, regardless of whether or not children are even in the zone." According to a 2007 report conducted by the Pennsylvania Commission on Sentencing, approximately 19 percent of the state of Pennsylvania – and 18.8 percent of Erie County – falls within these parameters. In larger cities, the percentage is much higher – 22.8 in Allegheny County and 29.5 in Philadelphia. According to Hoover, this meant that "you could be busted with a gram of heroin at midnight on Christmas Day if you're standing in a school-zone and get the mandatory." Though I'm certainly not happy about yuletide drug dealers near my local high school, I'm not convinced that a nonviolent crime of this nature necessitates two years of jail time. Earlier this month, the Pennsylvania Superior Court ruled that the provision regarding drug-free school zones (18 Pa.C.S. § 6317) is unconstitutional. Regarding the ruling, Mark H. Bergstrom, Executive Director of the Pennsylvania Commission on Sentencing, claims that the status of the law is still ambiguous. Bergstrom believes that most lawmakers agree that the provision requires reform, since the decision to implement a mandatory minimum is made during sentencing, rather than at trial. At the sentencing stage, Bergstrom asserts that the burden to prove beyond a reasonable doubt that the dealer was within 1,000 feet becomes much lower. In response to the ruling, the Pennsylvania Supreme Court must now determine whether the mandatory minimum trigger can still be applicable once adjusted. According to Bergstrom, they'll consider the following question: "Can the courts cut out the part of [the provision] that's unconstitutional and still have it survive?" We're currently waiting for their answer. But even if you are a strict law-and-order type, consider the impact that long sentences can have on families. Excessive penalties don't only affect the perpetrators, but also the people who care for and rely on them. In a very emotional editorial for The Nation in 2012, Judge Mark W. Bennett recalls the impact his mandatory minimum rulings have had on small-scale meth distributors in Northern Iowa: "I have seen how they leave hundreds of thousands of young children parentless and thousands of aging, infirm, and dying parents childless... In fact, I have been at this so long, I am now sentencing the grown children of people I long ago sent to prison." It takes a long time to transform systemic problems of this nature, but people are working to improve prison conditions in our local community. One example is Benetvision, an organization run by the Benedictine Sisters of Erie to "encourage the development of contemporary spirituality from a monastic, feminist and global perspective," according to their website. Benetvision is the brainchild of Sister Joan Chittister, an Erie native who recently received the Thomas B. Hagen Dignitas Award at the Jefferson Educational Society's Global Summit VI, an award given to an Erie Citizen "who has significantly contributed to bettering the world." On a lively conference call in November, three of the Sisters involved with Benetvision (Mary Lou Kownacki, Mary Ellen Plumb, and Anne McCarthy) spoke to me about the Sister Joan Chittister Fund for Prisoners, which provides more than $60,000 worth of reading materials to inmates in need of spiritual guidance. Their primary texts are Sister Joan's monthly newsletter, The Monastic Way, as well as some of her personal journals. Sister Mary Lou Kownacki explains the project this way: "We now work with about 90 chaplains across the country – and we do work with them personally. So we do know that the material is getting to the women and men, and it's not just locked up in a prison closet somewhere." Recently, two members of their online monastic movement, titled Monasteries of the Heart, wanted to take Chittister's book of the same title into prisons. In response, Benetvision organized a leadership workshop for prison volunteers, and a study guide is in the works to help them address the specific needs of the incarcerated. About twenty chaplains and lay people attended the gathering, and they have since established several outreach programs focused around the book and their movement – some of which are international in scope. According to Sister Mary Ellen Plumb, these efforts "have a particular appeal... because [prisoners] are starving for any spirituality, and starving for a sense of community based on something deeper than fear that brings them together." These workshops seem especially important when you consider the number of people with mental health problems in our prison system. According to a report released in April by the nonprofit Treatment Advocacy Center, there are an estimated "356,268 inmates with severe mental illness in prisons and jails" in the U.S., a number ten times greater than the total population in state hospitals. According to a recent Erie-Times News article, roughly 30 percent of the prisoners in the Erie County Prison suffer from "a serious mental illness." Faith-based initiatives are no substitute for professional psychiatric treatment, but providing inmates with more opportunities for reflection and self-expression (of a spiritual or a secular nature) still seems like an excellent idea. The Benedictine Sisters of Erie also organize weekly ministries for women at the Erie County Prison at 18th and Ash streets. Through their Sisters of the Mount program, they organize clothing drives to provide for recently released prisoners as well. Their Women's Advocate, Roseanne Lyndal-Hynes, also provides outreach services to recently released prisoners through the Emmaus Ministries program, which addresses the needs of the poor in our community. Sister Anne McCarthy has first-hand experience with our prison system. During a protest staged to oppose the Iraq War, she was arrested for civil disobedience and imprisoned for five days. As she got to know the prisoners more intimately, she became "amazed at their resilience, at what they're facing in their lives, and how few resources they have." As a nurse, she was particularly struck by their lack of health care and access to adequate nutrition. She also heard first-hand accounts of the shackling practices that the ACLU is working to eliminate. But there's still no silver bullet in sight to alleviate the problems these prisoners face, or the path that leads them to incarceration. McCarthy summarizes the problems quite eloquently: "The prison system is not a rehab system. It's not set-up to be that. It's a punishment system. It's a warehousing system." According to the New York Times, there were about 40,000 people in jails and prisons for drug crimes in 1980. By 2008, that number was nearly 500,000. If that increase makes sense from a reform standpoint, our drug problems must have been 12.5 times more severe at the dawn of the Reagan Administration. I was only four years old at the time, but I suspect that they weren't. Fortunately, an encouraging coalition of people are coming together to make meaningful reform possible. Locally, Stairways Behavioral Health provides treatment services at the Erie County Prison, and through their outpatient clinic for those in the criminal justice system. The ACLU has a Northwestern PA Chapter, and Erie County was included in an investigation the organization began in 2013 regarding the militarization of police forces. Andy Hoover is excited about the movement's diversity: "Whether or not you're in it for the humanitarian approach, which is 'we need to get people off drugs,' or if you simply believe that spending this much money on drug enforcement is ridiculous, either way, those things bring people to the table." While topics like police abuse and changes in drug policy may make us uncomfortable, it's inspiring to know that people in our community are working toward a more humane system of rehabilitation rather than one that prioritizes punishment, often at the expensive of common sense.